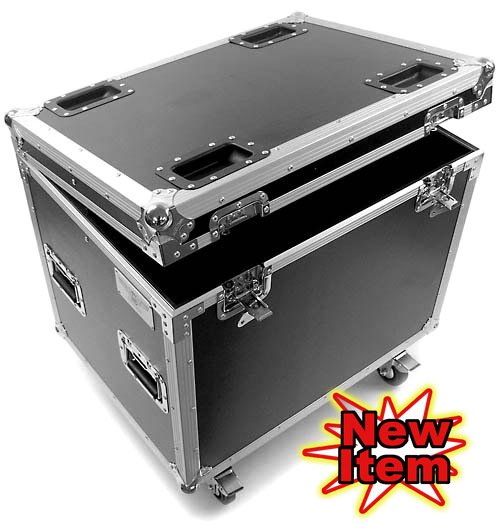 This is the EWI Tourcase tm Model C006DC-24D road trunk, which is a a medium size general purpose road trunk with a deeper front to back dimension ( 22 1/8" ) than our standard C006DC. The side panels are constructed with 3/8 inch hardwood plywood and covered with a black ABS laminate surface. The extrusion is all aluminum and assembled with aluminum rivets. The rivets on the 4 recessed handles are backed with washers to ensure strength and durability and the inside of the trunk is fully lined with 1/4" closed cell foam rubber. 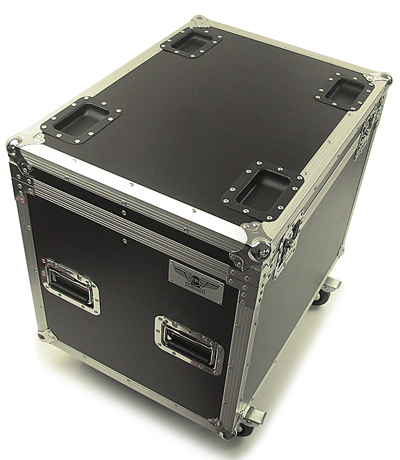 The C006DC trunk is equipped with 2 large recessed butterfly latches to secure the lid to the case. 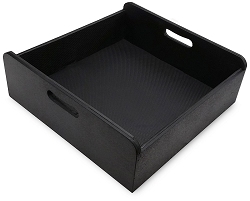 The lid is attached in the back with a 3/4" piano hinge and is equipped with 1 recessed lid stop and dual nylon shock lines. Four 4" swivel casters are included with this case, two of which are locking style and the other two are regular swivel casters. The casters mount to a 3/4" plywood caster board. An upgrade to grey "soft" wheel casters is now available. The EWI Tourcase trunks are manufactured to exacting tolerances with excellent fit and finish. This is a well made trunk that is sized nicely to fit 4 cases side by side in a 102" (8 1/2 ft.) wide interior measurement truck box. Road trunk for lots of STUFF! Left to right: 27 3/4"
Front to back: 22 1/8"